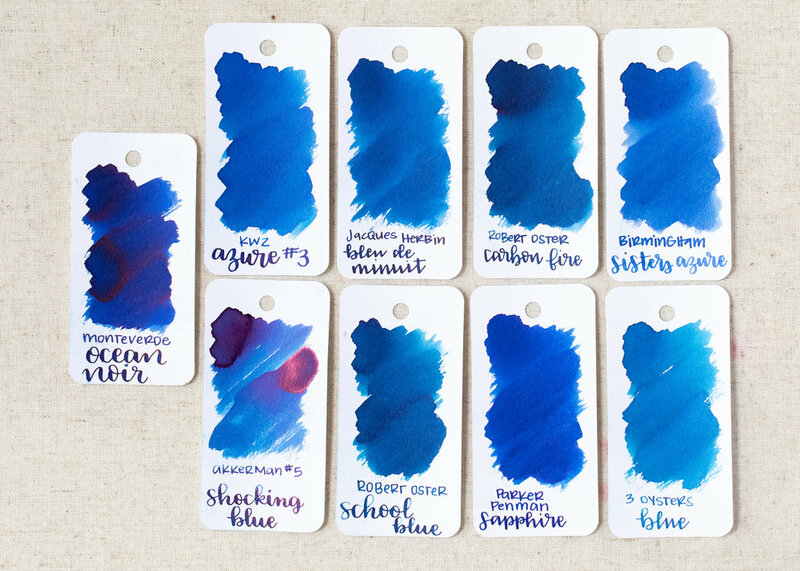 Let’s take a look at Jacques Herbin Bleu de Minuit today, from the new Jacques Herbin The Essentials collection. The ink is available in 50ml bottles and cartridges. Bleu de Minuit is a pretty, medium blue. Unfortunately, my ink sample leaked in transit, so I didn’t have enough to do large swabs or ink drops. 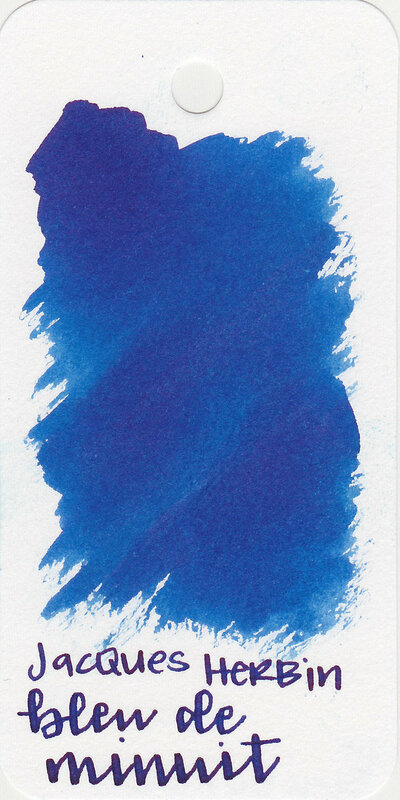 Bleu de Minuit is similar in color to KWZ Azure #3. 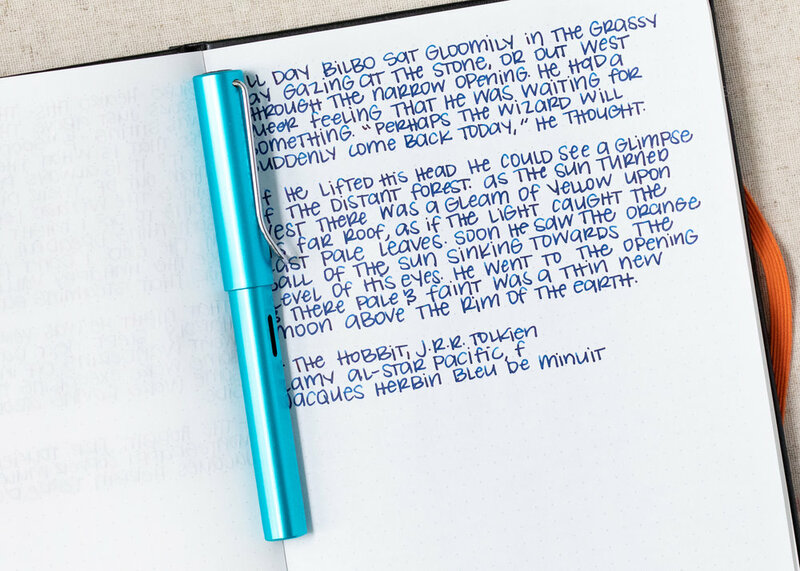 Click here to see the J Herbin inks together, and click here to see the blue inks together. I used a Lamy Al-star Pacific with a fine nib on Tomoe River paper. The ink has an average flow. Overall, it’s another nice blue ink. KWZ Azure #3 might be a good alternative if you have a hard time getting Bleu de Minuit in the US.